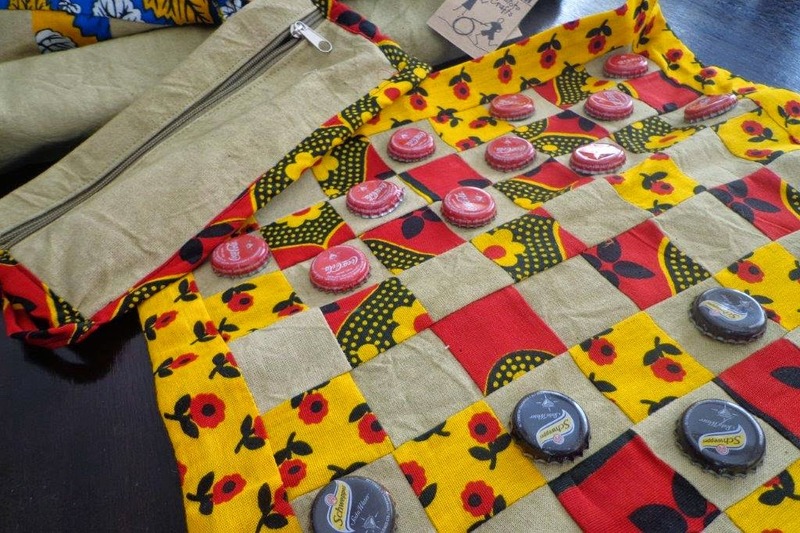 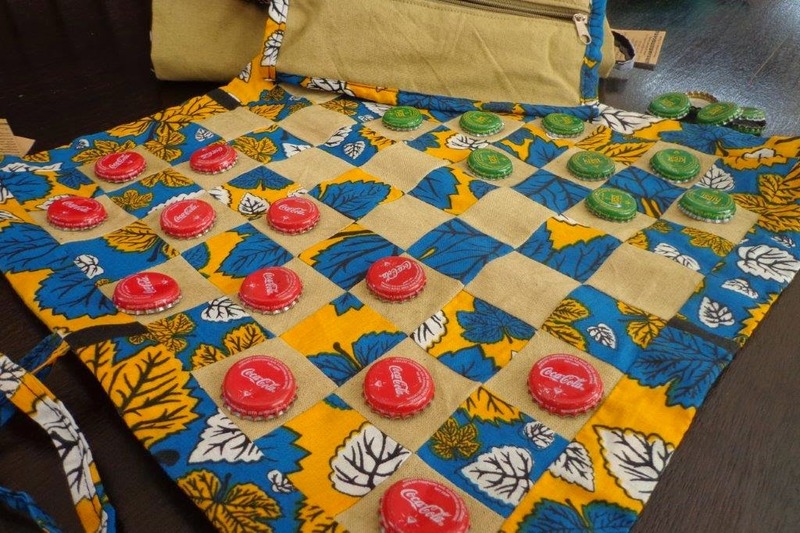 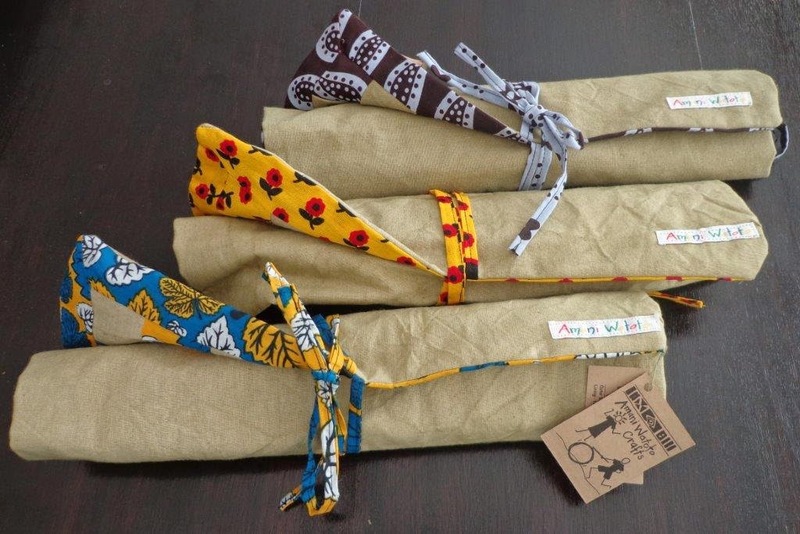 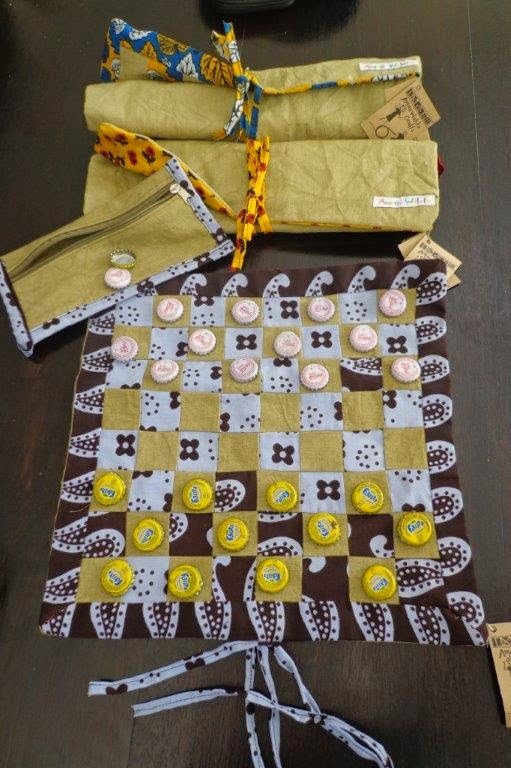 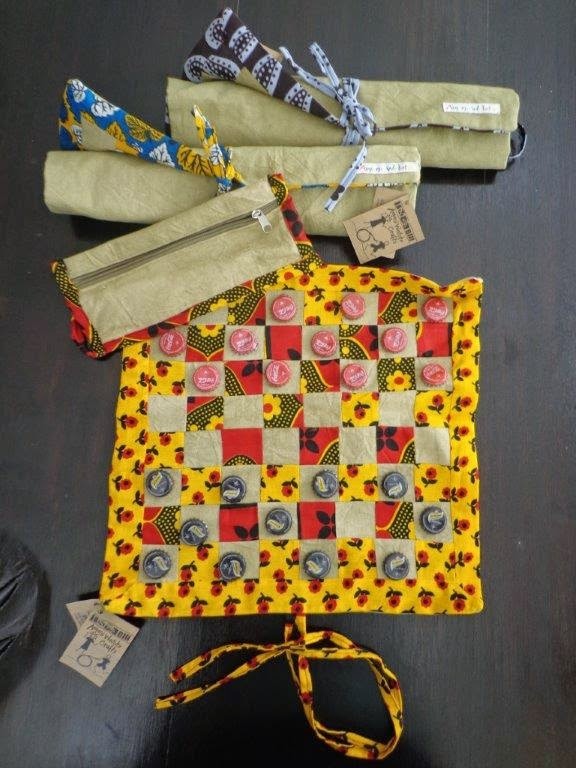 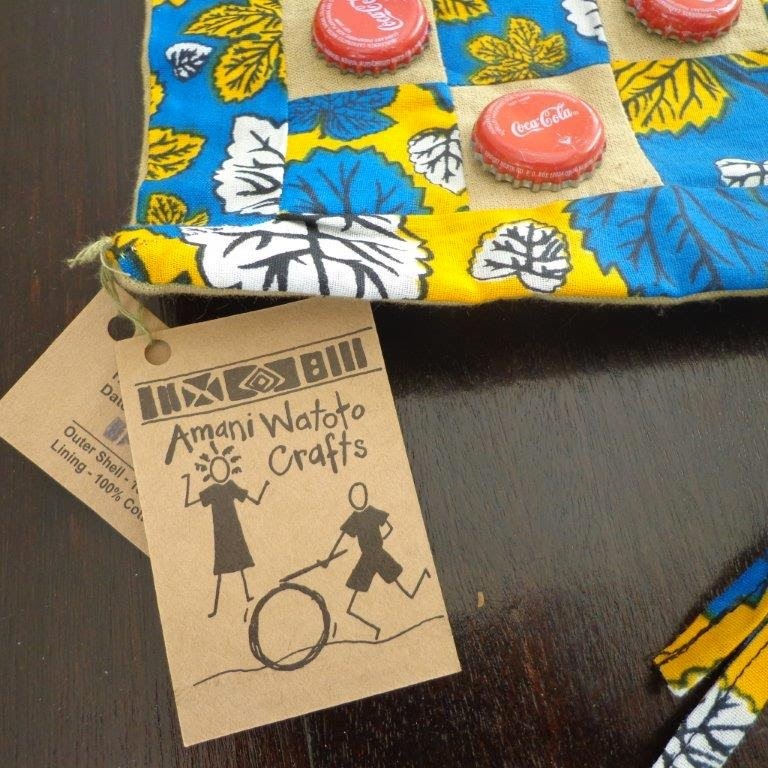 Surprised by Hope Handcrafts: Amani ya Juu Checkers Anyone? 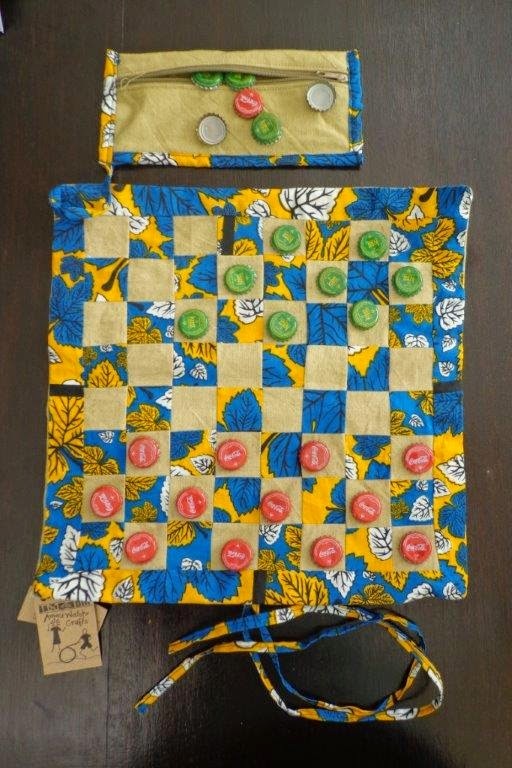 Amani ya Juu Checkers Anyone? 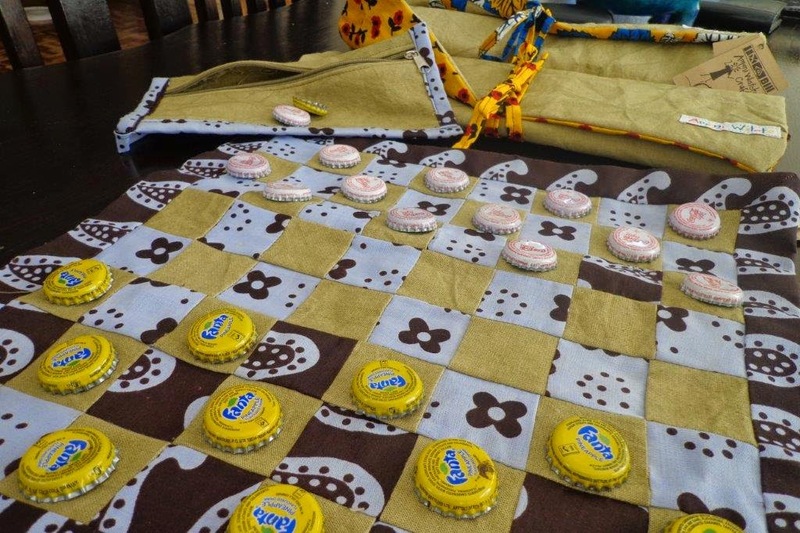 The timeless game of Checkers crosses all cultures and languages. 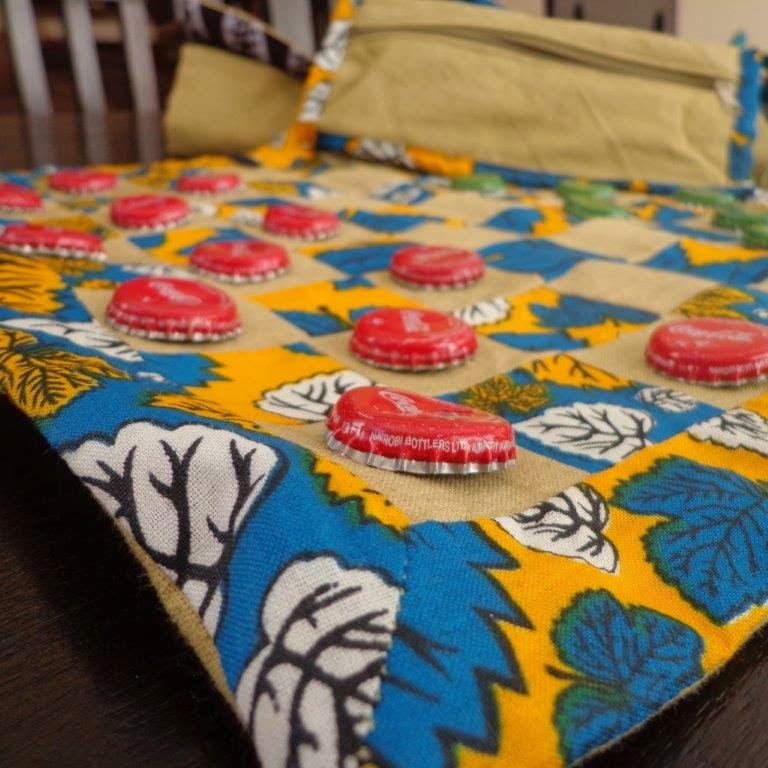 the bottle cap playing pieces (included) and tie strings to secure the game for travel.